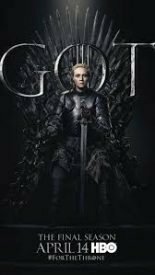 Game of Thrones’ final season will be the most anticipated newcomer to SoHo next month (1.00/8.30 Mondays from April 15). 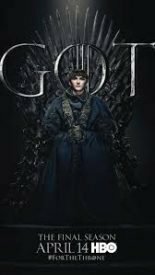 Today HBO released key art and a trailer for the concluding six episodes, which will be largely original rather than adapted from George RR Martin’s books. Reportedly, the first two episodes will be nearly an hour in length and the final four about 80 minutes. Also returning will be Into the Badlands for its mid-season premiere (8.30 Fridays from April 19) and Absentia for its second season (8.30 Thursdays from April 25). Making its NZ premiere five days after the US will be Warrior (9.30 Wednesdays from April 10), which is billed as a Bruce lee-inspired “gritty, action-packed crime drama” set during the brutal Tong Wars of San Francisco’s Chinatown in the second half of the 19th century. 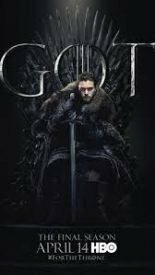 Back for Box Set Saturdays will be Game of Thrones (S7), Fortitude (S3), Ordeal by Innocence and the final season of Counterpart. Really loving the back story in Counterpart S2 on SoHo.